Congratulations on Your Admission to OSU!! Welcome! The International Students and Scholars Office (ISS) would like to welcome you to Oklahoma State University. The OSU family strives to make your stay in the United States pleasant and rewarding. As part of this effort we would like to share some very helpful and important information. Please read the following carefully. After being admitted, What's Next? For regular students to received an I-20 from OSU, student has to complete the admission process and be admitted. Please visit here for more information. For undergraduate students, Financial information is available here. For sponsored students to received DS-2019, student's sponsors will contact OSU and help the students with paperworks. Upon receiving the DS-2019, student could proceed to apply for the visa. Please do NOT book your flight before receiving your I-20 from OSU, and go to the U.S. embassy/consulate to receive your student VISA. Time needed for immigration officer to process your VISA application varies by country. After you receive a Form I-20 from Oklahoma State University, follow the US Embassy/Consulate’s instructions to schedule an interview for your F-1 student visa. It is important to apply for your student visa as soon as possible. Many consulates recommend that appointments be made no more than 90 days from the intended date of travel, but some can make earlier arrangements for interviews. It is important for you to plan to start the process well in advance in case of delays while obtaining your visa. Pay the $200 SEVIS fee, If your Form I-20 is marked for “initial” attendance (See #3 on your Form I-20) Be sure to print out your SEVIS fee receipt at the time of payment. Go to your scheduled VISA interview. If you plan on flying to Oklahoma, we recommend you fly to Stillwater as the City of Stillwater now offers two daily American Airline flights between Dallas Fort Worth International Airport (DFW) and Stillwater Regional Airport (SWO). More information here. Bring extra pair of glasses, and your regular medicine. Use the orange OSU luggage tags we provide, they help to distinguish your bags. International travel usually makes you exhausted, therefore it's recommended to minimize your luggage. You will be able to purchase all living supplies locally. Your O-Key Account is your passport to our campus. Your username and password are used to access the student computer labs, Student Information System (SIS), online classes and your OSU e-mail. O-Key contains personal and emergency information about you and allows you reset or change your password at will. Instructions on creating your O-Key are automatically sent to students once they apply. The OSU residence halls, suites and apartments are exciting, active communities that promote personal and academic well-being. All freshmen are required to live in residence halls unless they are married, age 21 or older, or have completed 27 credit hours. http://reslife.okstate.edu/VirtualTour/tour.html for 360 degree virtual housing tour. There are always exciting ways to get involved including study sessions, hall government and intramural sports. 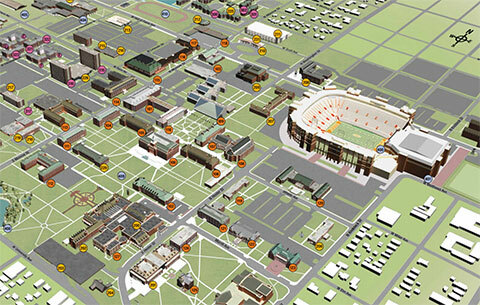 Students should make arrangements for permanent housing before you arrive in Stillwater. To apply for on campus housing, visit: http://reslife.okstate.edu or call 405-744-5592. Please note that you must have set up your O-Key account and be admitted in order to apply. You are responsible for paying all incurred expenses while at OSU. You need to become familiar with your government’s regulations for obtaining foreign currency and transferring money. Make arrangements in advance to have available adequate funds that will cover your expenses for at least one full year. Advance preparation is necessary because fund transferal, check clearance, and bank drafts may take time. One method of transferring funds is the cable transfer, in which you cable/transfer funds from your home bank (through one of their international affiliates in the USA) who then cables the funds to an OSU account. A 2.75% or $3.00 minimum convenience fee will be added to all credit card bursar account payments. MasterCard, Discover, or American Express is accepted. International Payments to OSU Just Got Easier. NEWS:LETTER FROM BURSAR TO BANKS WHO HAVE ISSUES IN THEIR HOME COUNTRIES. Be prepared to access funds to pay for the first semester upon arrival on this campus. See financial guarantee for estimated cost. DOCUMENTS NEEDED FOR ENTRY TO THE U.S.
Stillwater is a small city located in the north central part of the state of Oklahoma. The nearest international airports are 70 miles from Stillwater in Oklahoma City (OKC) and Tulsa. We have implemented a Greeter Service to facilitate your travel from OKC. There is no Greeter Service available for the summer semester or for Tulsa. You will need to make your own arrangements if you fly into Tulsa or are arriving for the summer semester. Please note than there are flights coming in from Dallas Fort Worth International Airport (DFW) to Stillwater Regional Airport (SWO), that would save you the ground transportation cost from OKC which is usually in excess of $100. More information here. Undergraduate students please click here. If you arrive after 10:30 p.m. or on a date not covered by our greeter service, you may choose one of the options below to travel to Stillwater. This is NOT a FREE service and does require CASH for the fare. Oklahoma City Airport Express (blue van): This service is a charter service and thus available at any time of the day. Their office is located near the baggage claim area. The cost is approximately $100. If there is more than one passenger in the van the cost is split among the passengers. Phone 405-681-3311. Taxi Service (Yellow Cab): Phone 405-232-6161 / Cost: Between US $110.00 and $130.00. There is no transportation service at the Tulsa Airport, but you may choose the following for travel from Tulsa to Stillwater. The International Students & Scholars website is always the best resource for up-to-date information on pre-arrival information. It is highly recommended that you read through the “Pre-Arrival" and "Arrival & Orientation section carefully. It contains information that is especially valuable to new students.